Next February, Matt Damon stars in a movie centered around the Great Wall of China. According to the film’s director Zhang Yimou, there’s a reason for that and it’s not whitewashing. This comes in the wake of the surrounding decision to cast Scarlett Johansson as augmented-cybernetic human Motoko Kusanagi in The Ghost in the Shell. As Channel NewsAsia reports, there has been pushback regarding the decision to cast Damon, and, as of writing, the trailer—which doesn’t explain much other than the Great Wall, Chinese warriors, Matt Damon, and monsters—has 7,826 likes and 6,309 dislikes. With credits like Raise the Red Lantern and Hero, Zhang is one of China’s most respected filmmakers. The Great Wall is his English-language debut and is being made by a Chinese-owned Hollywood studio. Compared to previous China-Hollywood co-productions, which might only feature a few scenes set in China, The Great Wall is making a big international push for a Chinese-themed movie. That stars a white guy, that is. 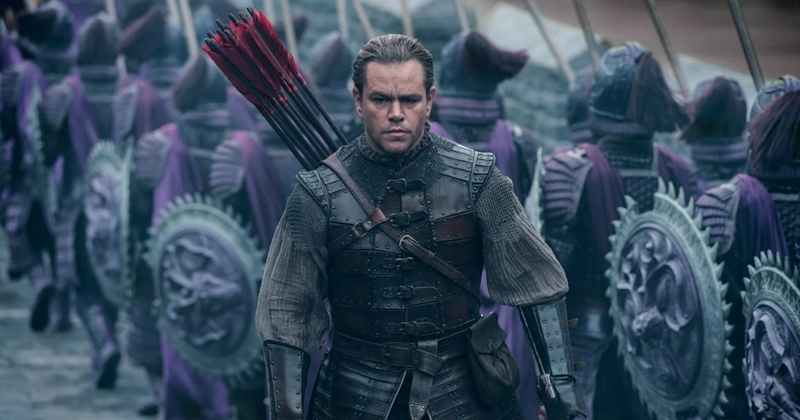 The Great Wall is fantasy, but The Washington Post points out that having Damon as a European mercenary who shows up to save Ancient China could be perplexing when considering the country’s real history of oppression under European imperialism. Again, this is fantasy and a movie, but the larger issues, such as actual history or Hollywood’s casting decisions, could be why it’s already drawing criticism. For Zhang, however, this isn’t about the movie he says he wants to make. Guess we’ll see when The Great Wall opens next February.